I'm doing a Six on Saturday this week while there are still plenty of flowers out. 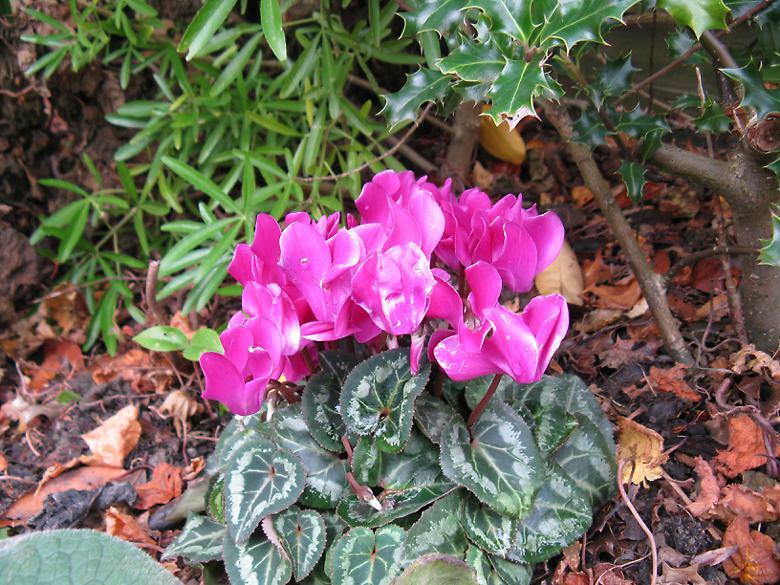 I bought this a few weeks ago as I like having a splash of colour in this area during the autumn. I don't expect it to survive the winter, but if as long as this winter isn't as bad as last year it may survive the rest of the year. 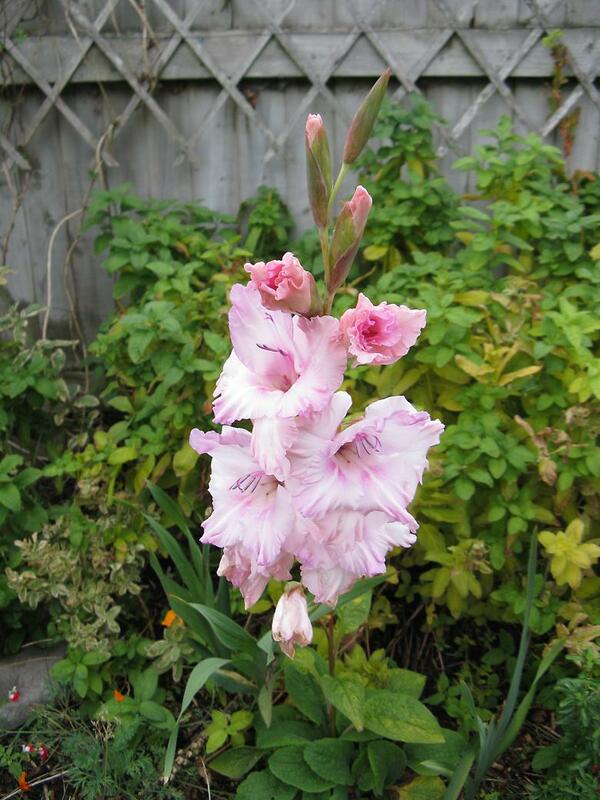 This is the last Gladioli to flower. Its just an impression, since I haven't kept notes, but it seems that ones that flowered later, are also lasting longer. 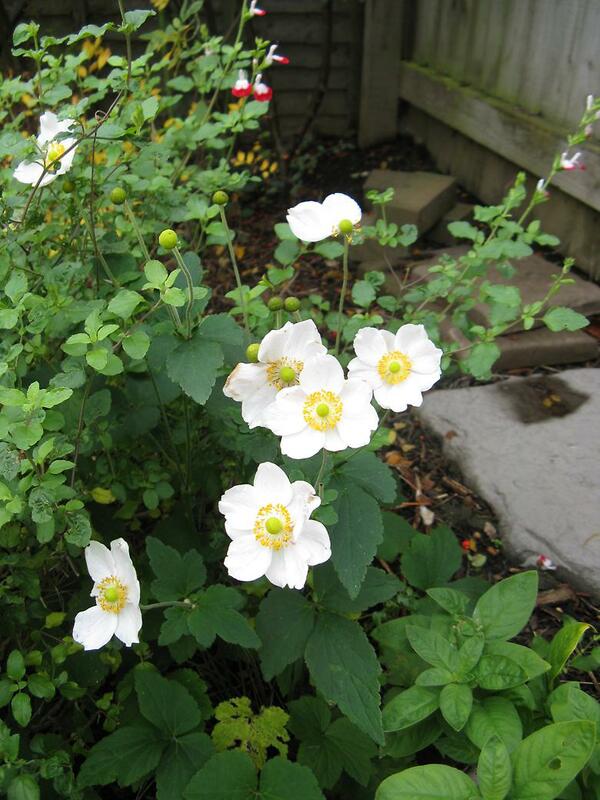 This is Anemone × hybrida 'Honorine Jobert'. 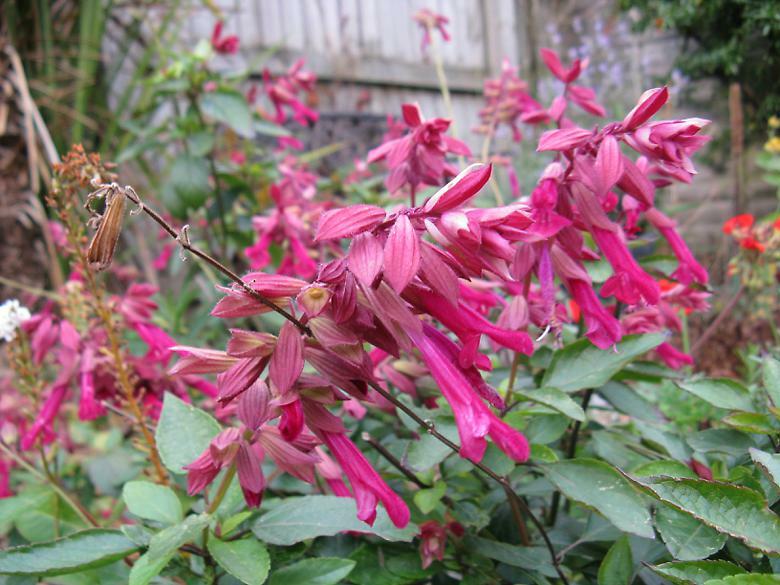 It is fighting for attention with a Salvia 'Hot lips' and not really winning at the moment. The flowers are not visible from the house from behind it. This is its second year and it isn't full sized yet. I am really liking this seed grown Penstemon, which has appeared in a previous SoS. 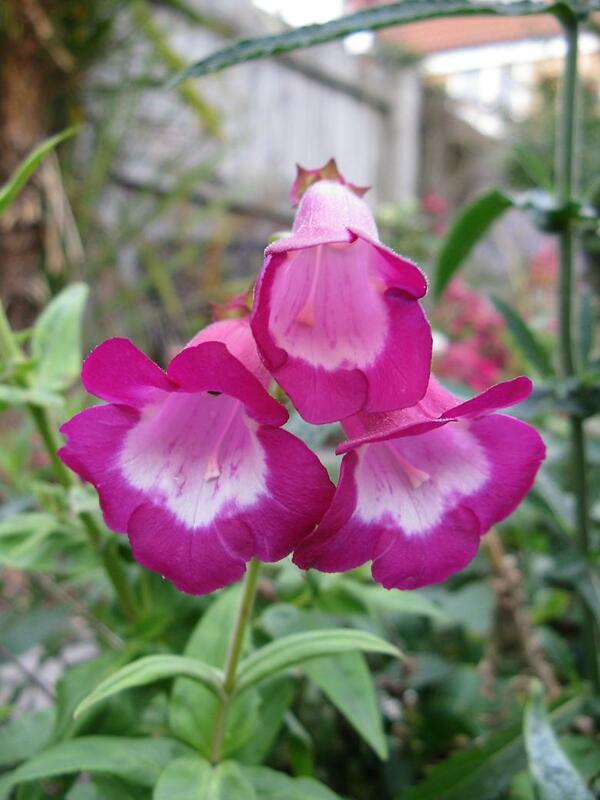 I saw a Penstemon for sale in the garden center with a fancy name but it was no better than this! This is Salvia 'Wendy's wish', looking better than it has all year. The branches break quite easily, during one of the storms, I found half of it at the other side of the garden. It also lost a branch in a hosepipe accident earlier in the year. After all the yellow, there is now a lot of red visible in this part of the garden. 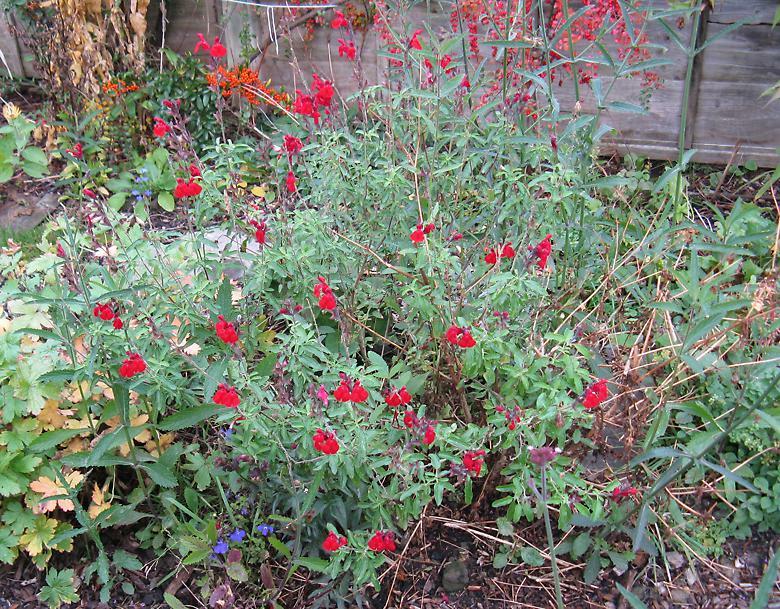 In the foreground, there is Salvia 'Radio red' with some Pyracantha and Cotoneaster berries in the background. Last year the birds started eating the berries in mid November, so probably not long before they are all gone. In fact I saw a blackbird eating a couple of berries on The Tree earlier today.